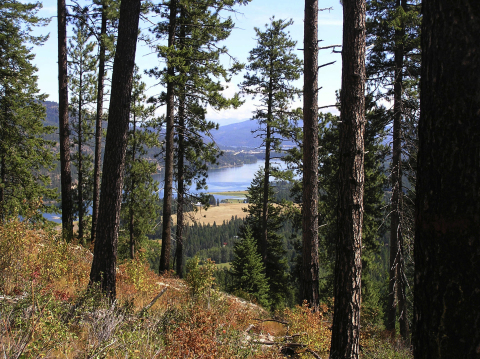 COEUR D’ALENE, Idaho--(BUSINESS WIRE)--The Molpus Woodlands Group is offering an investment-grade 28,300 +/- acre timberland property in north Idaho. The Project Ruby Creek offering comprises 35 timberland tracts ranging in size from 40 acres to 2,563 acres and distributed across Bonner, Boundary, Kootenai, Latah, and Shoshone Counties in Idaho. These timberlands have operated as commercial forests for decades and continue to be a resource for the thriving north Idaho log and lumber markets. North Idaho offers a competitive timber market and a variety of mill options for the processing of raw material. The timberlands have been certified under the Sustainable Forestry Initiative (SFI) since 2008. These well-managed forests consist of a mixture of eleven conifer species, with stands ranging from well-stocked merchantable timber to vibrant young plantations. The diverse structure of this timberland property will accommodate immediate cash flow needs as well as long-term investment performance. Opportunities for conservation easements and sales of recreational and residential land also increase the value of this property. For more information about this offering, please contact Mark Power at 601-948-8733 ext. 339 or by e-mail at mpower@molpus.com. About Molpus Woodlands Group: The Molpus Woodlands Group, LLC, a Registered Investment Advisor, was founded in 1996 as a Timber Investment Management Organization (TIMO) and has a company legacy dating to 1905. Molpus is one of the oldest timber-related companies in the nation, with experience in all facets of timber management, manufacturing, and marketing. Molpus acquires, manages, and sells timberland as an investment vehicle for pension funds, college endowments, foundations, insurance companies, and high-net-worth individual investors. Molpus currently manages more than 2.1 million acres of timberland investments located in eighteen states. For more information, visit http://www.molpus.com/. Nothing herein constitutes an offer to sell or a solicitation of an offer to subscribe for or buy any security with respect to any fund.